Section 1. The government of this Association shall be vested in its Board of Directors. The Board of Directors shall consist of a Chairman, a First Vice Chairman, a Second Vice Chairman, and nine Directors. The President and the Secretary-Treasurer shall serve as ex-officio members of the Board. Section 2. All members of the Board, except the President and the Secretary-Treasurer, shall be elected by the members at the annual meeting and shall hold office until their successors are elected and qualified. Section 3. The offices of President and of Secretary-Treasurer may be held by the same individuals, and in that event, the person holding those offices shall have the duties and responsibilities of both offices. Section 4. The Board of Directors may, by resolution adopted by a majority of the Directors then in office, designate an Executive Committee consisting of the Chairman, a First Vice Chairman, a Second Vice Chairman, and may delegate to the Executive Committee all or any part of the authority of the Board of Directors in the government and the management of the Association. The President shall serve as ex-officio member of the Executive Committee. Section 5. The Chairman, First Vice Chairman, and Second Vice Chairman shall be elected by the membership at the annual meeting and shall serve a term of one (1) year. Each of said officers must either be an active member or an officer, partner, or employee of an active member. Section 6. Three (3) directors shall be elected from the active membership of the Association by the membership at each annual meeting and shall serve a term of three (3) years. Directors shall be ineligible to serve more than one (1) consecutive term as a Director, partial terms excepted, shall not be ineligible to serve as an Officer. Directors elected annually by the members or appointed by the Board of Directors must be either an active member or an officer, partner, or employee of an active member. Section 7. Indemnification of Officers and Directors. The Corporation shall indemnify the Officers, Directors, former Officers, former Directors, and all other persons serving the Corporation in any official capacity to the full extent permitted by Article 1396-2.22A, Texas Non-Profit Corporation Act. Provided, however, that prior to granting such indemnification, the Corporation shall make the determination of indemnification required by Article 1396-2.22A SB, Texas Non-Profit Business Corporation Act, in the manner required by Article 1396-2.22A SF and Article 1396-2.22A SG of the Texas Non-Profit Corporation Act. The Corporation shall advance expenses to any person whom it grants indemnification under this section to the full extent and in the manner permitted by Article 1396-2.22A, Texas Non-Profit Corporation Act. The Corporation may purchase and maintain insurance on behalf of any person who is or was a Director, Officer, employee or agent of the Corporation or who is or was serving at the request of the Corporation as a Director, Officer, venturer, proprietor, trustee, employee, agent or similar functionary of another foreign or domestic corporation, partnership, joint venture, sole proprietorship, trust or other enterprise or employee benefit plan against any liability asserted against it and incurred by him in such a capacity arising out of his status as such a person, whether or not the Corporation would have the power to indemnify him against that liability under the provisions of Article 1396-2.22A, Texas Non-Profit Corporation Act. Section 1. It shall be the duty of the Chairman to preside at all meetings of the Association, and all meetings of the Directors. Section 2. It shall be the duty of the Chairman to appoint all Councils and Committees, subject to the disapproval by a majority of the Board. Committees shall serve one year or until their successors have been appointed. The Committees include: Arbitration Committee, Arbitration Appeals Committee, Legislative & Government Affairs Committee, and all other committees as deemed necessary and approved by the Directors. Section 3. It shall be the duty of the Vice Chairmen, respectively, in their order, to perform the duties of the Chairman in case of absence or disability of the latter, and in case of the absence of the Chairman and both Vice Chairmen, the members shall choose some member to act during the meeting. Section 4. The President shall be responsible for the general administration of the Association and for the management of the office of the Association. It shall be the duty of the President to record and preserve all minutes of the meetings of the Association, conduct the correspondence and issue all notices of meetings to the members. The President shall make a full report of the work of the Association, keep the members informed of what is being done between all meetings, and perform such other duties as are required of him by the Board of Directors. He shall collect all money due the Association from the members and others and deposit such funds in the name of the Association. Section 5. It shall be the duty of the President to make a report of all receipts and disbursements of the Association to the membership at the annual meeting. Section 6. It shall be the duty of the President to see that the Constitution, By-Laws and Rules of the Association, and orders and awards of the Arbitration Committee and Arbitration Appeals Committee, and orders of the Directors are complied with. He shall report any violations promptly to the Board of Directors. Section 7. The President shall be an ex-officio member of all standing committees and of all special committees. Section 8. In addition to the duties specified elsewhere in this Constitution, the Secretary-Treasurer shall have such duties and responsibilities as the Board of Directors and the President shall, from time to time, delegate to the Secretary-Treasurer. Section 1. It shall be the duty of the Directors to look after the interest of the Association between meetings, to follow the general policy outlined by the members at the annual meetings, transact the necessary business of the Association, to fill, by a majority vote of said Board, all vacancies that occur in the Officers, Directors or Committees between meetings, and have all other powers delegated to them by the Constitution and By-Laws. Section 2. It shall be the duty of the Board of Directors to employ one or more individuals to serve as President and as Secretary-Treasurer and direct the manner in which the President and Secretary-Treasurer make expenditures from the funds of the Association. Section 3. An annual audit of the Association’s records shall be made by a Certified Public Accountant and a report made to the Board of Directors. Section 4. Between meetings of the Board, valid action by the Board may be taken by mail vote upon any question submitted to each member of the Board in writing. Section 5. In the event a member of the Board of Directors is absent from three (3) consecutive meetings of the Board, then that member’s office shall be considered vacant and shall be filled by a majority vote of the Board. Section 6. Seven (7) members of the Board of Directors shall constitute a quorum for the transaction of business of the Association. Section 7. At its first meeting following each annual convention, the Board of Directors shall set meeting dates for the year. The Board shall meet at least as often as three times each year. Section 1. All active Past Chairmen of this Association and of its predecessors shall constitute the Council of Past Chairmen. Section 2. The Council of Past Chairmen shall meet at the request of the Board of Directors and shall lend its expertise to the Board of Directors in the management and government of the Association. The Council of Past Chairmen shall render the Board of Directors such advice as the Board of Directors may from time to time request. Section 1. Any person, firm or corporation continuously and actively engaged in buying, selling, warehousing and shipping grain, seed, hay, grain products, feed ingredients, cash grain, or in manufacturing commercial feeds or mill products, or in the brokerage of grain or of feed ingredients, upon payment of the applicable dues, is eligible for membership in Texas Grain and Feed Association. Members shall execute an agreement to be bound by the Constitution, By-Laws, and Rules of the Association and all amendments thereto, and to comply with all Awards of the Arbitration Committee and the Arbitration Appeals Committee. Section 2. The Board of Directors may, in its discretion, from time to time, name honorary members of the Association. Honorary members, who have not previously been active members, shall not be entitled to vote on any question. No honorary member shall be eligible to hold office. Section 3. Each active member, and each honorary member who has previously been an active member, shall have the right to vote at all meetings of the membership of this Association, and each shall be entitled to one vote upon any question submitted to the membership at any annual or special meeting. Members’ votes shall be cast by the official representative or alternate official representative of the member. The official representative or alternate official representative shall be an owner, officer, partner, or employee of the member. Section 5. By unanimous approval of the Directors, membership in this Association may be transferred, without charge, to the successor assuming any and all obligations of the original holder. Section 6: A member remains subject to all the provisions of the Association’s Constitution, By-Laws, and Rules until the member’s resignation has been accepted by the President or membership has been terminated as provided in Article VIII of this Constitution. Section 7. Persons, firms and corporations which are engaged in business pursuits closely identified with the activities of regular members, as set forth in Section 1 of this Article, may be admitted to associate membership in this Association in the same manner in which regular members are admitted. They shall be entitled to vote and they shall be eligible to hold office. Section 1. This Association shall hold an annual meeting each year at such time and place as shall be designated by the Directors for the purpose of electing Officers and Directors and receiving reports of the President, or any other reports that may be submitted to this Association, and for the consideration of any other business that may be brought before the meetings. It shall hold such other meetings as may be provided for by rule, order, or by resolution of the Directors, or such as may be called by the Chairman, or upon application of ten members to the Chairman and for such purposes as may be specified by such rule, order, resolution or call. Section 2. 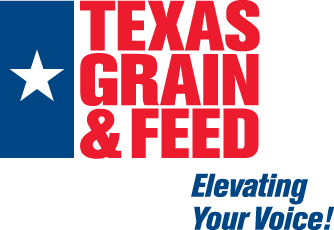 The fiscal year of the Texas Grain and Feed Association shall be from May 1 of each year to and including the next April 30. Section 1. Members of the Association shall promptly and faithfully comply with and fulfill all business obligations with other members of the Association. All disputes, differences, disagreements, and controversies of a financial, mercantile, or commercial character arising out of transactions involving grain, seed, hay, grain products, feed ingredients, commercial feeds, or mill products between two or more members of the Association must be submitted to arbitration. All such transactions between members of the Association are presumed to be in commerce. Members of the Association shall promptly perform Awards of the Arbitration Committee or of the Arbitration Appeals Committee. Members of the Association shall also obey all rules of the Association, including Trade Rules, the Constitution and the By-Laws as they from time to time exist. Section 2. When disputes between members of the Association are submitted to the Arbitration Committee or the Arbitration Appeals Committee, the Committee shall hear the matters at issue and shall make an Award. Section 3. A member of this Association who violates the provisions of this Constitution, By-Laws, or the Rules of this Association, may be censured, fined, suspended or expelled by vote of the Board of Directors after notice to the member and a hearing of all facts by the Board. The President shall notify the member of the action of the Directors within ten (10) days. If a member of this Association who is a member of the National Grain and Feed Association is expelled from the National Grain and Feed Association, the member may be notified to appear before the Directors of this Association, and show cause why the member should not be expelled from Texas Grain and Feed Association. If the alleged violation by the member or the expulsion of the member from the NGFA arises out of or relates to a judicial or administrative proceeding, the Board of Directors shall not act until the judicial or administrative proceeding is concluded. Section 1. Creation of Committees; Jurisdiction. In order to facilitate dealings between the members of this Association there are created an Arbitration Committee and an Arbitration Appeals Committee. In extension and not in limitation of the powers of arbitrators at common law, the Committees are granted all power and all jurisdiction granted to arbitrators by the Federal Arbitration Act (9 U.S.C. § 1, et seq.) and by Chapter 171, Texas Civil Practice and Remedies Code, as now existing or hereafter amended. Section 2. Appointment of Members. The Arbitration Committee and the Arbitration Appeals Committee shall each consist of five (5) members appointed by the Chairman of the Association, from the membership of the Association. Upon accepting appointment to the Arbitration Committee or the Arbitration Appeals Committee, an appointee shall file a written statement with the President agreeing to judge disputes submitted to the Committee justly and equitably in conformity with the Constitution, By-Laws and Rules of the Association, to the best of the appointee’s ability. The statement shall also acknowledge the appointee’s duty to make an Award to one party or the other in all disputes submitted to a Committee. Section 3. Penalties for Failure to Obey Rules. If a member of the Association fails to obey these Rules, the President shall report to the Board of Directors that the member has violated the Constitution, By-Laws, and Rules of the Association. The Board may then take whatever action it deems appropriate as provided in Article VIII, Section 3, of the Constitution. The President shall publish a notice of the action of the Board of Directors in the Newsletter of the Association. Section 4. Duties. The Arbitration Committee and of the Arbitration Appeals Committee, when cases are appealed to it, shall hear and decide all disputes of financial, mercantile or commercial character connected with or arising out of any matter pertaining to a transaction in grain, grain storage, seed, hay, grain products, commercial feeds, feed ingredients or mill products when disputes are properly submitted to them by members of Texas Grain and Feed Association. The Arbitration Committee and the Arbitration Appeals Committee shall render awards in conformity with the Constitution, By-Laws, and Trade Rules of the Association and in conformity with the evidence submitted to them. Nothing in these Rules authorizes either the Arbitration Committee or the Arbitration Appeals Committee to render an award based on matters not in dispute between the parties to an arbitration proceeding. A member of either Committee shall render his decision to the best of the member’s ability. Neither the Association, nor any member of a Committee, nor any member of the Association shall ever be liable for any error of judgment by a Committee or a member of a Committee nor shall the Association or any member of a Committee ever be liable to anyone for loss or damage suffered in or as a result of any arbitration proceeding. Section 5. Interpretation and Application of Rules. The Arbitration Committee and the Arbitration Appeals Committee shall interpret and apply these Rules insofar as they relate to their jurisdiction, powers and duties and to the arbitrability of any dispute. Interpretations shall be by majority vote of a quorum of a Committee. Section 6. Quorum of Either Committee. Three (3) members of either Committee shall constitute a quorum of that Committee and an award made by a majority vote of a quorum of either Committee shall have the same force and effect as an award made by a majority vote of the whole Committee. Committee or the Arbitration Appeals Committee may be filled by majority vote of a quorum of the members of the Committee. A permanent vacancy on either Committee shall be filled by appointment by the Chairman of the Association, subject to veto by the Board of Directors of the Association. Section 8. Disqualification of Committee Members. A member of the Arbitration Committee or the Arbitration Appeals Committee shall be disqualified to serve in any arbitration proceeding: (a) if he is a member of a firm which is party to the proceeding or which has a financial or commercial interest in the outcome of the proceeding; or (b) if he states that he is prejudiced in the proceeding; or (c) if a party to the arbitration proceeding requests that he be disqualified for cause. The Committee shall be the sole judge of the sufficiency of a disqualification for cause. Section 9. When the Committee Shall Act. When requested to do so, either Committee must act in any dispute of a kind described in Section 4 of these Rules, arising between members of the Association and in any dispute referred to arbitration under these Rules by a court of competent jurisdiction. Either Committee may act in disputes between a member of the Association and a non-member if (i) a member and non member have made contract under the Trade Rules of the TGFA specifically incorporating the Arbitration Rules of the TGFA, or (ii) both parties file a written agreement with the President agreeing to arbitrate under these Rules. Otherwise, the Committee has no jurisdiction and the Association shall refund the Arbitration service fee to the member. b. Defaults. If a Respondent fails to answer or pay its arbitration service fee, it is in default. If the default remains uncured for ten (10) days, the Committee shall meet in person or by telephone conference call and if the Claimant’s claim is liquidated, enter a Default Award in favor of Claimant. If Claimant’s claim is not liquidated, Claimant will during the meeting or conference call prove up its claim with sufficient evidence to liquidate the claim and permit the Committee to enter a Default Award. Any party against whom a Default Award has been entered under this provision may apply for vacation of the Default Award within fifteen (15) days of entry of the Default Award by submitting a verified statement setting forth its explanation. This statement shall include the specific factual grounds of defense that the defaulting party would present to the Arbitration Committee. The defaulting party shall also tender its arbitration service fee in the form of a cashier’s check, certified money order, or by wire transfer or other comparable payment mechanism payable to the Texas Grain and Feed Association, calculated as provided in Section 10 of these Rules. Failure to tender the required fee shall result in denial of the relief sought by the defaulting party. The Arbitration Committee may vacate the Default award entirely based on the defaulting party’s submission, within thirty (30) days of receipt. A timely request for vacation of a Default Award shall stay the time for appeal under Section 23 of these Rules. Section 11. Fee In A Proceeding Before the Arbitration Appeals Committee. In a proceeding before the Arbitration Appeals Committee, the Appellant shall deposit with the President at the time provided in Section 23 of these Rules, as an Arbitration Appeal Fee a cashier’s check in the amount of $2000.00. Section 12. Disposition of Fee After An Award by the Arbitration Committee. When the Arbitration Committee has made an Award in an arbitration proceeding, the President shall retain the arbitration fee until the Award has become final. When the time for appeal has lapsed and the Award has become final, the President shall distribute the fees as ordered by the Arbitration Committee. Section 13. Disposition of Fees in the Event of an Appeal. If a party appeals to the Arbitration Appeals Committee, the President shall retain the arbitration fees and the Arbitration Appeals fee until the Arbitration Appeals Committee has rendered an Award. After the Award is rendered, the President shall distribute the fees as ordered by the Arbitration Appeals Committee. Section 14. Commencement of a Proceeding. An arbitration proceeding may be commenced by filing a written request for arbitration with the President. The request for arbitration shall briefly describe the nature of the dispute, give an estimate of the amount in controversy and set out the names and addresses of the parties involved. Section 15. Notification. The President shall send all parties a written notice of the commencement of the arbitration proceeding and a form Agreement to Arbitrate by certified mail. The notice shall contain the names and mailing addresses of all parties and the docket number of the proceeding. The notice shall advise all parties: (a) that each of them must pay the arbitration fee required by Section 9 of these Rules by cashier’s check and return the executed Agreement to Arbitrate within ten (10) days from the date of the notice; (b) that if the fee or Agreement to Arbitrate of any party is not received within ten (10) days, the Arbitration Committee will decline to entertain the proceeding; (c) that the party who commenced the arbitration proceeding (Petitioner) must file his Petition within twenty (20) days from the date of the notice. Section 16. Petition; Answer; Time Limitation. The Petition shall support Petitioner’s claim and shall be filed with the President together with all documents, records and other evidence which the Petitioner considers relevant to the proceeding. Upon receipt of the Petition, documents, records and evidence, the President shall serve copies on the other party (the Respondent) by certified mail. Within twenty (20) days from the mailing of the Petition to the Respondent by the President, Respondent shall file Respondent’s Answer setting forth Respondent’s position in the dispute together with all documents, records and other evidence which he considers relevant to the proceeding. The President shall serve copies of the Answer, documents, records and other evidence upon the Petitioner by certified mail. No further pleadings shall be filed unless permitted by the Committee in the interest of justice. Section 17. Time and Place of Hearing; Notice to Parties. After Respondent’s Answer has been filed with the President, the President shall deliver the Petition, the Answer and all documents filed with him under these Rules to the Arbitration Committee. The Arbitration Committee shall set a time and place for hearing; provided, however, that the hearing may not be sooner than ten (10) days after the President has delivered the Petition, Answer, and documents to the Committee. The President shall notify the parties of the time and place of the hearing by certified mail. By written agreement, all parties may waive the hearing and agree to submit the dispute to the Arbitration Committee on the written record. Section 18. Appearance at Hearings; Oral Argument. A party shall have the right to appear in person and by counsel in any proceeding before the Arbitration Committee. Each party shall have the right to offer evidence and to argue orally before the Arbitration Committee; provided, however, that the Committee may impose reasonable time limitations at the outset of the hearing. Section 19. Stenographic Transcript. Either party may request that a stenographic transcript be made of a hearing before the Arbitration Committee by filing a written request with the President by certified mail not less than five (5) days before the date of the hearing. Upon receipt of the request, the President shall arrange for a licensed court reporter to be present at the hearing. All expense of the court reporter shall be borne by the party requesting the transcript. If more than one party files a request for transcript, the costs shall be borne by them equally. Section 20. Control of Procedure. The Arbitration Committee shall have exclusive control of the procedure of any proceeding before it; provided, however, that in conducting all proceedings, the Committee shall endeavor to guarantee fundamental fairness to all parties. Section 21. Award. The Arbitration Committee shall make an Award as soon as possible after a hearing. All Awards shall be in writing accompanied by an opinion setting forth the grounds for the Award. The Award shall be signed by members of the Committee who support it, and shall be filed with the President when it is rendered. The President shall promptly serve a copy of the Award and opinion and a statement of account showing the amount owed by or to each party if the Award becomes final and also if the Award is appealed, on all parties by certified mail. Awards shall be dated the date they are filed with the President. The Committee may only award direct damages and may not award consequential, exemplary, or punitive damages. Section 22. Awards Finality. Awards of the Arbitration Committee become final unless an appeal is perfected as provided in Section 23. Awards which become final are payable by cashier’s check to the Association no later than five (5) days after the time for appeal has lapsed. The President shall deposit the check to the account of the Association and shall issue the Association’s check to the party in whose favor the Award was rendered. Summaries of final Awards and the opinions supporting them will be published in the Association’s Newsletter. Neither an Award, the opinion supporting it, nor the published report of an Award shall be binding upon future parties nor cited as precedent in any future arbitration proceeding or judicial proceeding not involving the identical parties and issues. Section 23. Notice of Appeal; Filing; Payment of Fee. A party aggrieved by an Award by the Arbitration Committee (Appellant) may appeal to the Arbitration Appeals Committee by filing a written notice of appeal with the President within ten (10) days of the date of the notice of Award of the Arbitration Committee. At the same time the Appellant shall file any brief or written argument in support of the appeal. The notice of appeal must be accompanied by a cashier’s check payable to the Association in the amount of the Award and a cashier’s check in the amount of the Arbitration Appeal Fee. The President shall serve a copy of the notice of appeal and of the brief or written argument upon the other party (Appellee) by certified mail. The Appellee shall respond to the Appellant’s brief or written argument within ten (10) days of the date of its transmittal. Section 24. Notice to Appeals Committee. The President shall inform the Arbitration Appeals Committee that an Award of the Arbitration Committee has been appealed and transmit to each member of the Committee copies of the entire record before the Arbitration Committee and copies of the briefs or written arguments, if any, filed by the Appellant and the Appellee. The Committee may consider the appeal at any time after the expiration of ten (10) days after the President has transmitted the record and written arguments to the members of the Committee. Section 25. Appeals Hearings; Rights of Parties. Appeals shall be decided on the record before the Arbitration Committee and the briefs or written arguments, if any, filed by the parties. Oral argument of an appeal may be requested in writing by either the Appellant or the Appellee no later than the date on which its brief or written argument must be filed. Oral argument shall be the exception and shall be scheduled only on the affirmative vote of a majority of the members of the Arbitration Appeals Committee. Section 26. Form and Rendition of Awards. The Arbitration Appeals Committee shall render an Award as soon as possible after submission of the appeal. All Awards shall be in writing accompanied by an opinion setting forth the grounds for the Award. The Award shall be signed by all members of the Arbitration Appeals Committee who support the Award and the Award shall be filed with the President. Section 27. Notification of Award; Time for Payment. The President shall transmit copies of the Award, the opinion and a statement of account to the parties by certified mail. The statement of account shall reflect the amounts owed by and to each party as a result of the Award. An Award of the Arbitration Appeals Committee shall be payable within ten (10) days of the transmittal of the Award, opinion and statement of account by the President. Awards shall be paid by cashier’s check payable to the Association. Upon the receipt of the funds, the President shall issue the Association’s check to the party entitled to the Award, and shall make whatever disposition of the Arbitration fees and the Arbitration Appeal fee ordered by the Arbitration Appeals Committee. Section 28. Failure to Pay Award. If the party against whom an Award is rendered fails to pay the Award at the time and in the manner specified in Section 21 or Section 27, the party in whose favor the Award was rendered shall have the exclusive right to enforce the Award in a court of competent jurisdiction. Upon written request of the party in whose favor the Award was rendered, the President shall deliver the party certified copies of all documents, records, other evidence, Awards and opinions filed or required to be filed with him in the proceeding. (a) Computation of Time. In computing time under these Rules, the first day shall be excluded and the last day included. However, if the last day falls on a Saturday, Sunday, or legal holiday, then the following business day shall be considered the last day. A document required to be filed under these Rules, if mailed, shall be deemed filed on the date on which it is deposited, postage prepaid and properly addressed, in the United States mails. Provided, however, that time periods for actions by the President shall run only from the date of his receipt of any document. (b) Publication of Arbitration Rules. The Arbitration Rules are printed annually in the Association’s Directory for the convenience of members. The official text of the Rules is on file with the President. If there is a conflict between the official text and any published version, the official text shall control. (c) Association Neutral. The Association and its employees are and shall be strictly neutral between parties to an arbitration proceeding. When an Award has become final, the Association may take whatever steps the Board of Directors, in its sole discretion, deems necessary to uphold any final Award and to defend the integrity of arbitration proceedings. (d) Ex Parte Contacts Prohibited. Ex parte contacts between a party to an arbitration proceeding and a member of the Arbitration Committee or the Arbitration Appeals Committee regarding the subject matter of the arbitration are prohibited. Violation of this rule is grounds for dismissal of the arbitration proceeding or disciplinary action by the Board of Directors of the Association. (e) If any term of these Rules is declared illegal, unenforceable, or unconscionable, that term shall be severed and the remaining terms of these Rules shall remain in force. The Committee or Court, as the case may be, should modify any term declared to be illegal, unenforceable, or unconscionable in a manner that will retain the intended meaning of the term as closely as possible. If a dispute arising from these Rules is submitted to a Court for interpretation or adjudication, the parties to the arbitration irrevocably waive the right to trial by jury. Section 1. Provisions of the Constitution, By-Laws and Trade Rules may be amended or altered at any regular meeting of this Association, or at any special meeting called for that purpose by a two-thirds majority of those present and voting. Section 2. All amendments to the Constitution and By-Laws or Trade Rules must be submitted in writing to the President and be communicated to the members at least ten (10) days prior to an annual meeting or any special meeting called for the purpose of amending same. Amendments not so submitted shall not be considered in any such meetings. Section 1. The meetings of this Association shall be held at such times and places as the Directors shall designate. Section 2. A quorum shall consist of twenty-five members of the Association present. Section 3. The Directors shall meet at such times and places as they may decide upon. Section 4. The Arbitration Committee shall meet at such times and places as it may decide upon. Three members present shall constitute a quorum. Section 5. The Arbitration Appeals Committee shall meet at such times and places as it may decide upon. Three members shall constitute a quorum. Section 6. The Directors shall have the power to make assessments whenever necessary to meet any deficit that may occur. Section 1. The salary of the President shall be fixed by the Directors; he shall not be engaged in buying and selling grain for his own account, and shall give bond for such sum as the Board of Directors may require. Section 2. The Association shall pay all proper expenses of maintaining an office for the President and all traveling expenses incurred by him in his work for the Association. Section 1. The dues of this Association shall be determined by the Board of Directors and shall be payable annually, in advance. Section 2. If dues and assessments are not paid in advance, after ten days notice, then said member shall make himself liable to be suspended at the discretion of the Board of Directors. Section 3. Any member suspended for non-payment of dues may be reinstated only by the affirmative vote of three-quarters of the membership of the Board of Directors. Section 1. The Association shall indemnify the officers, directors, former officers, former directors, and all other persons serving the Association in any official capacity to the full extent permitted by Article 1396-2.22A, Texas Non-Profit Corporation Act. Provided, however, that prior to granting such indemnification, the Association shall make the determination of indemnification required by Article 1396-2.22A-B, Texas Non-Profit Corporation Act, in the manner required by Article 2.22A-F and Article 1396-2.22A-G, Texas Non-Profit Corporation Act. To the extent that any person is found liable for willful or intentional misconduct, no indemnification will be allowed. Section 1. Members of the Association shall arbitrate any controversy arising between them under Rules adopted by the Association.